Countless melodies at the tip of your finger! 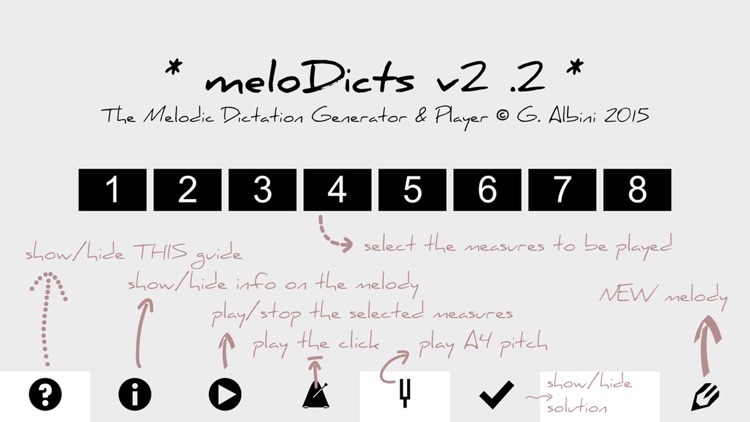 meloDicts is a Melodic Dictations Generator that creates each time a different tonal melody. 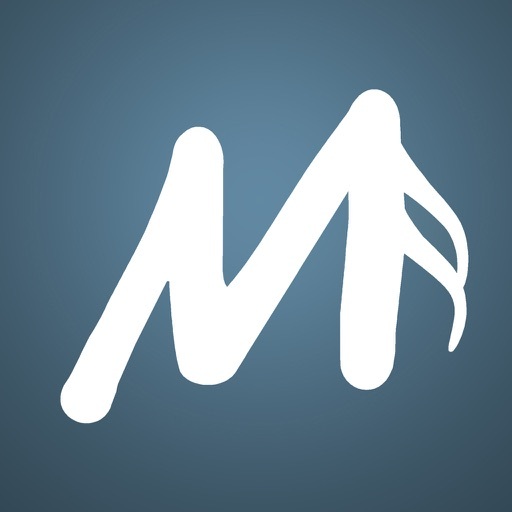 An innovative and versatile software that randomly generates and carefully plays exercises as a human teacher would do. It can generate eight bars melodies of Basic, Easy and Intermediate difficulty, in eight different major (C, F, G, D and B flat) and minor (A, D and E) keys. Developed by an Ear Training/Music Theory Italian professor specifically for his own students, this app is a perfect tool to train your ear at home. 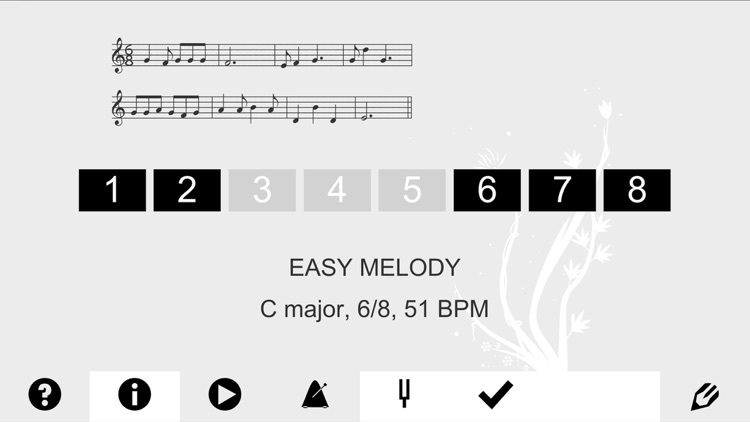 Get a pencil and a music sheet and let meloDicts be your digital teacher! Select which bars you want to listen to and write them down! 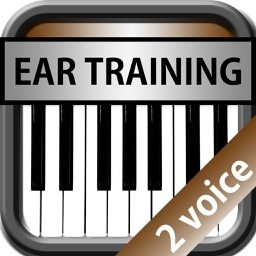 A Melodic Dictation (also called Transcription or Music Dictation) is an ear training exercise in which the student writes down a short melody while listening to the teacher playing it. 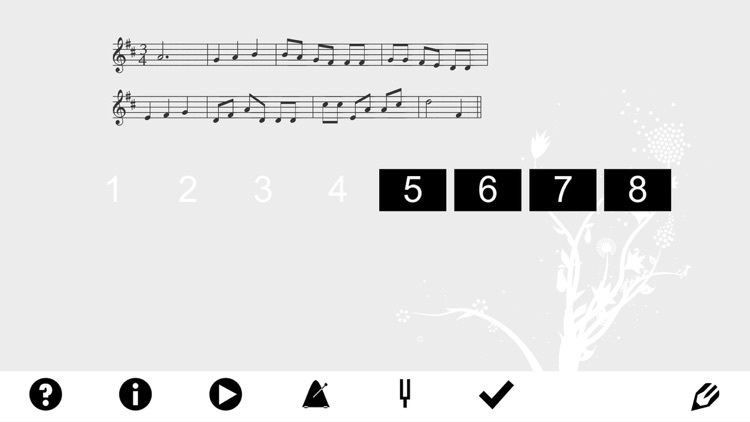 It helps strengthen the student's visualization skills, giving the ability to listen to music and immediately visualize how it is written, a skill that the most experienced composers and musicians have developed to a high degree. -Q- How can I create a first exercise? -A- Just open the app and press "?" (first button on the left) to hide the button guide, then press the "PENCIL" (last button on the right) to generate a melody. If you don't press the "PENCIL" there will be nothing to play!! -Q- I can't hear any sound, what should I do? 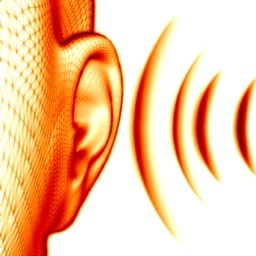 -A- Be sure the volume is on and that your device is not muted (check the small switch close to the volume up-down buttons on the side of your device).